No. D - 1950's model. 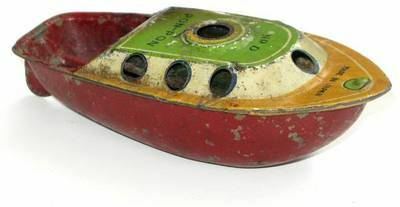 Japanese made "pop pon" boat, No "D". Condition is played with and fair (see images below), however it is over 60 years old. A nice addition to any boat collection.